In recent years skiing on coastal mountains has become really popular, and it’s easy to see why. There’s something really special about skiing on the coast. Standing on top of a peak and looking out over the ocean adds an extra level of expansiveness to the whole experience. It seems to me that mountains and the sea just go hand in hand. Whether you choose to stay on a boat or in a fjordside lodge, use touring skis, splitboard or a heli to access the mountains, backcountry skiing with the ocean as a backdrop is a great experience. Here are 6 location suggestions for anyone looking to sample some summit to sea action. There are many good reasons why Arctic Norway is the capital of summit to sea skiing. This is a land where beautiful mountains rise straight out of the sea, where you can ride pow all spring long and where on most nights in March and early April the beautiful Aurora dances overhead. Then, from mid-April onwards, daylight hours increase until the midnight sun brings light to the mountains 24 hours a day. There are many types of exotic accommodation options when it comes to Arctic Norway. Stay on a Spa boat in the touring paradise that is Lyngen and soak tired muscles in a saltwater hot tub or zone out in the wood-fired sauna after a day of climbing and skiing some of the world’s most beautiful mountains. If things get a little warm there’s always the option of taking a ‘refreshing’ dive off the 7-metre platform into the Arctic Ocean! If spending a week on board a boat isn’t your thing then you might want to check out one of the cosy lodges and enjoy a rustic or luxurious ski touring experience. Located close to the shoreline you’ll have incredible views over Lyngen Fjord to the Lyngen Alps. Take a boat and access remote parts of the peninsula that can’t be reached by road. This guarantees a day of solitude and fresh tracks. On storm days find options like Storhaugen, the peak right behind Lyngen Lodge, with low angle slopes that are usually avalanche safe, along with nicely spaced super-shreddable tree lines lower down. Svalbard takes the whole summit to sea idea up a notch. Located far above the arctic circle, between Norway and the North Pole, Svalbard is an archipelago of Islands that contain remote mountains, huge glaciers and, in spring, 24 hours of daylight. 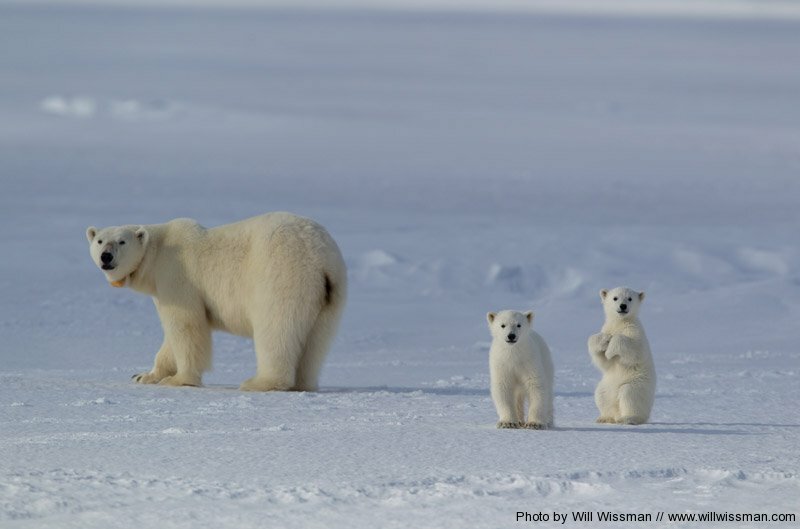 Svalbard also contains an incredible array of wildlife, including the Polar Bear. It’s the perfect place for a boat based ski trip. Ride amazing lines right down to the water’s edge by day and relax on board the comfortable ship at night. 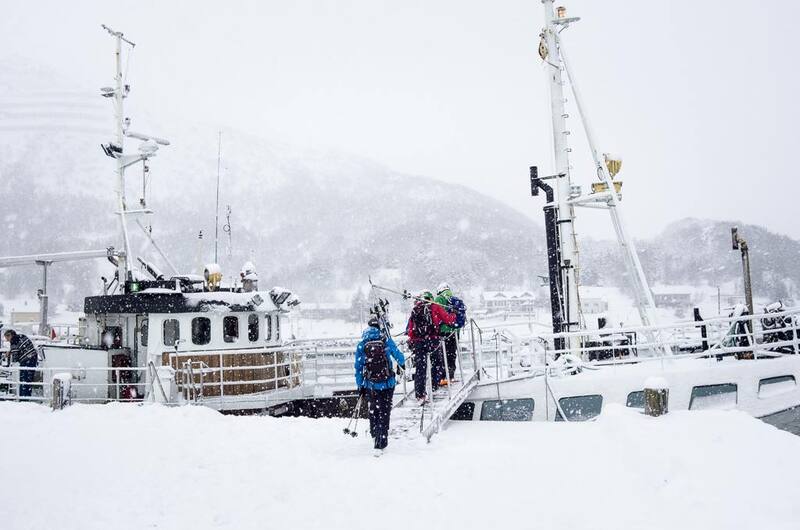 It’s not just Arctic Norway that offers ski to the sea adventures. The Sunnmore Alps are located on the shoulder of Norway, between the cities of Alesund and Trondheim. The mountains in Sunnmore are truly spectacular, often plunging directly into the fjords. There are a few small resorts in the area that offer amazing sea views but the best way to experience Sunnmore is to earn your turns on touring skis or a splitboard. Being close to the coast the region can get massive snowfalls and if the snowpack is stable this place is a steep skiing paradise. One of the most remote places on the planet, Greenland should be on the bucket list of every adventurous skier or snowboarder. Greenland is the world’s biggest Island and has a coastline that is littered with endless mountain ranges, many of which are still unexplored and unridden. 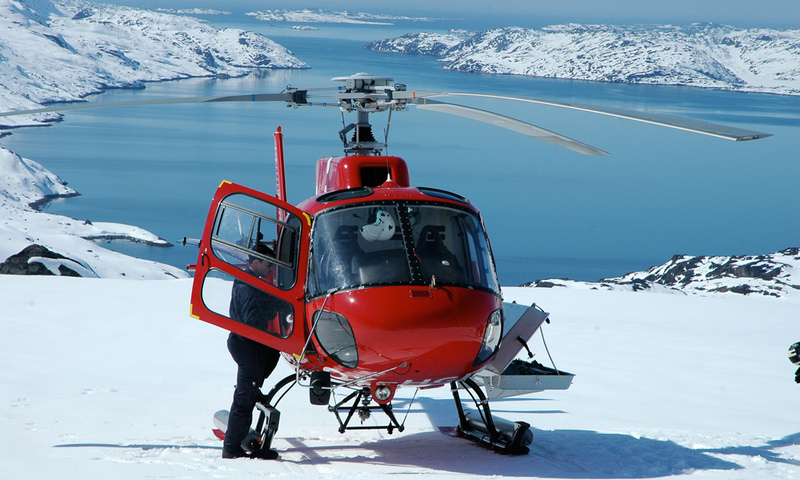 Experience a heliskiing trip to the West Coast of Greenland where you can expect amazing snow with long runs up to 2000 vertical metres in a vast and pristine wilderness. Greenland is also a great place for those who like to earn their turns, although ski touring here is a serious undertaking. Skiers should be familiar with glacial travel along with being well prepared for the Polar climate. Just like in Svalbard, Polar Bears are prevalent here so the right safety precautions should be taken. Alaska doesn’t just have to be about heli-skiing and remote glacier camps. The state has a long coastline with some of the most spectacular mountains on Earth. As the snowpack is usually deep all the way to sea level, it’s often possible to explore the lower slopes of mountains rising above spots like Prince William Sound without getting into terrain that’s too serious. As ever with AK though, it’s not difficult to step things up if required. Along with the well-known spots like Haines and Valdez, both of which lie on the coast, there are endless options all the way from the Canadian border up to the Aleutian Islands. This area is home to some of the biggest mountains on Earth. Peaks like Mount Fairweather and St Elias are very remote and as serious as it gets. These mountains are subject to crazy amounts of weather and receive more snow than anywhere else in the world. It goes without saying that anyone looking to explore high and remote zones like these should be experienced and very capable. Iceland’s northern fjords are the perfect place to sample some summit to sea skiing. The area is stacked with beautiful mountains that feature long consistent slopes – this is the place to let loose and make some big turns. 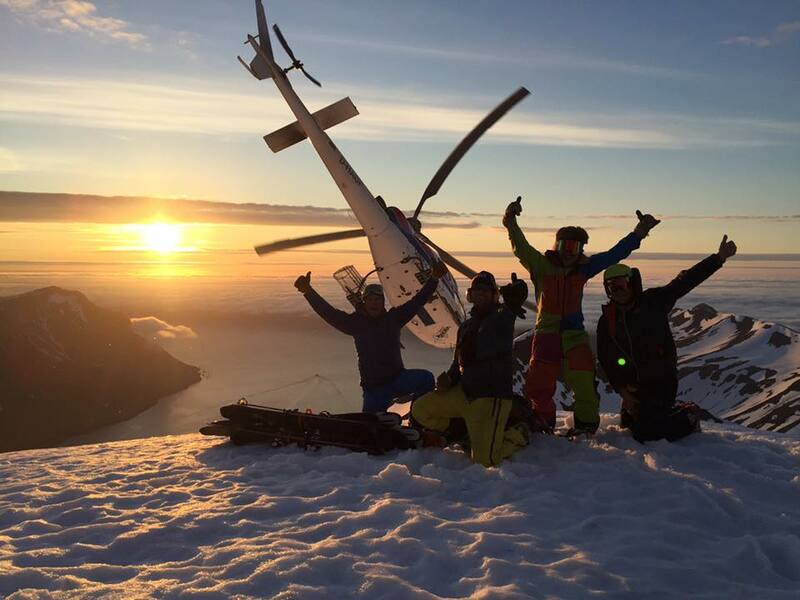 Heliskiing in Iceland is a great way to access the mountains and see the amazing scenery. Ski touring and splitboarding is also popular in Iceland as the peaks are a good size for day tours. The super long spring daylight hours also provide a huge amount of flexibility where weather and snow conditions are concerned. If you got keen on more exotic ski destinations head over to our friends at Luex.com and discover more amazing destinations for your next ski trip.